High Quality Clear Plastic Bobbins, 9.2 size, 3/8″ deep. Security notch for consistent bobbin thread winding. 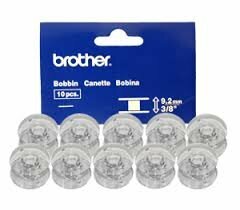 10 bobbins per pack.